Operating the wipers in this condition may damage them. Use the defroster to warm the windshield, then turn the wipers on. 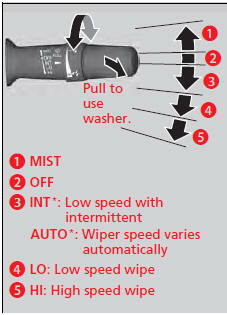 When the vehicle starts moving, the wipers make a single sweep.